Just 10 days ago, Jose Mourinho's agent Jorge Mendes was telling the world that his client was ‘very happy and committed’ to Manchester United. 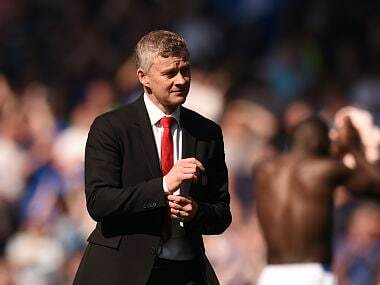 On Tuesday, he will probably be out looking for jobs for the Portuguese coach, who ended his stint at the Premier League club after a topsy-turvy season. 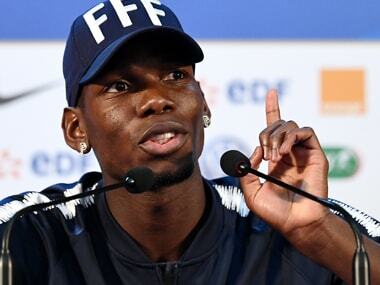 It was a stint perhaps best classified by Mourinho's tussle with star man Paul Pogba. Or his mad dash after Chelsea assistant coach Marco Ianni on the touchline. Or his frequent jousting with the press. Or him angrily kicking the wall during the 2-2 draw with Arsenal. 29 October, 2016: Is sent off to the stands for protesting a decision in 0-0 home draw against Burnley. Spends second-half handing scribbled instructions on notes to his assistant. 27 November, 2016: Gets sent off to the stands again! 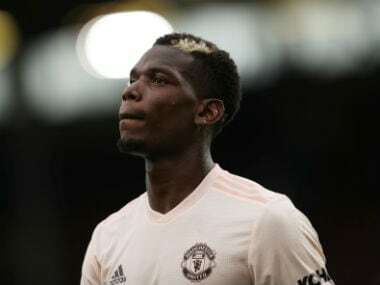 This time, it is for angrily kicking away a bottle after Paul Pogba was shown yellow in match against West Ham United. 26 February, 2017: Mourinho makes history by becoming the first United manager to win silverware in his debut season at the club, thanks to their win in the League Cup. May 2017: United end their first season under Mourinho 24 points and five positions behind champions Chelsea. 24 May, 2017: United nab Europa League title after beating Ajax. 20 December, 2017: Defending champions United crash out of the League Cup with a 1-2 defeat in the quarter-finals to Championship side Bristol City. 13 March, 2018: Mourinho’s United crash out of the Champions League in the Last-16 stage at the hands of Sevilla. In the aftermath of the defeat, Mourinho angers United fans by his press conference where he reminds journalists how his previous sides like Porto had knocked out United from Champions League in the past. Manchester United fans are not happy with Jose Mourinho's post match comments after sevilla defeat! 12 May, 2018: Mourinho’s loyal aide since 2002, Rui Faria, announces that he will quit as Mourinho’s assistant at the end of the season. 19 May, 2018: United suffer heartbreak in the FA Cup final. Agonisingly the defeat comes against Mourinho’s former side, Chelsea. 26 September, 2018: Appears to get involved in a confrontation with star midfielder Paul Pogba during training. 20 October, 2018: Mourinho chases after Chelsea assistant coach Marco Ianni after the latter’s exuberant reaction to Ross Barkley’s equaliser against United at Stamford Bridge. Maurizio Sarri’s second assistant coach sparked a touchline fracas after he celebrated Chelsea’s goal in front of Mourinho. 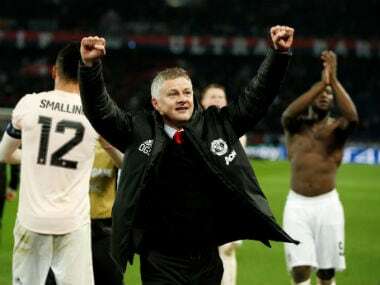 28 November, 2018: Mourinho smashes a crate of bottles at Old Trafford to celebrate Marouane Fellaini’s injury-time winner against Young Boys in a UEFA Champions League fixture. 16 December, 2018: United follow their loss to Valencia with a 3-1 defeat to Liverpool at Anfield.